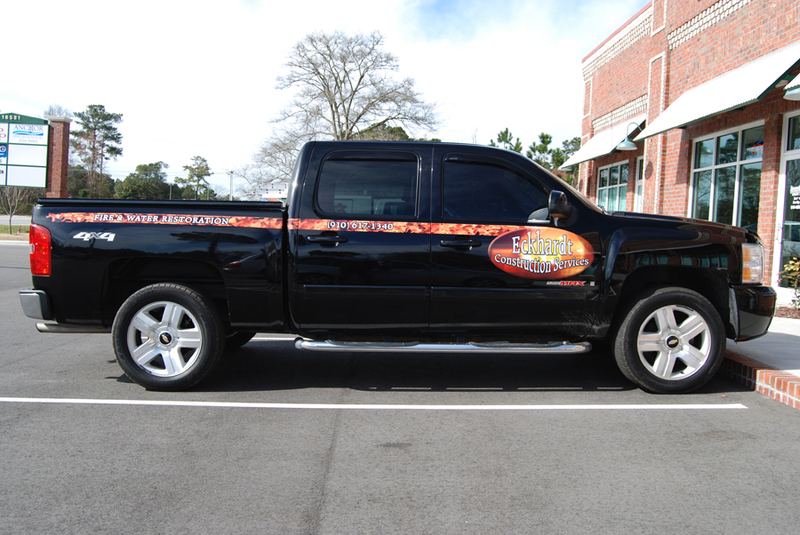 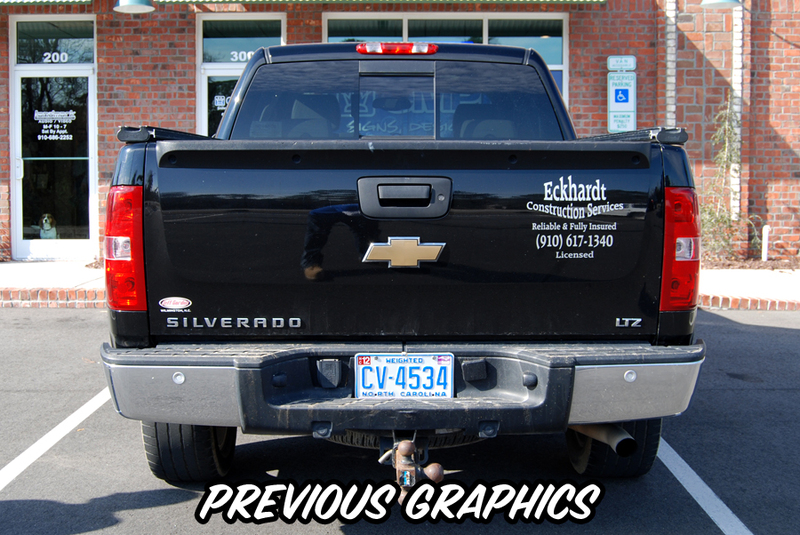 This Week’s Project of the Week is a graphics re-work on one of Eckhardt Construction’s ’07 Chevy Silverado. 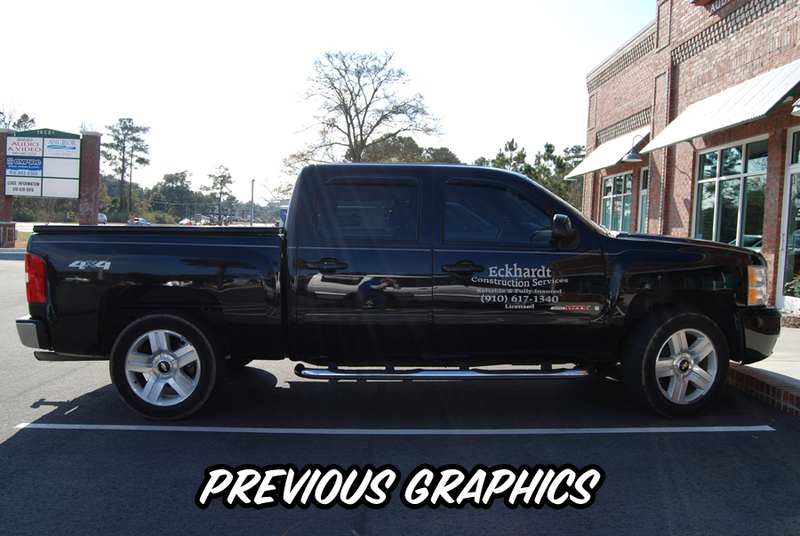 Dennis, the owner of Eckhardt Construction came to Empire to give his daily driver pickup a little makeover. 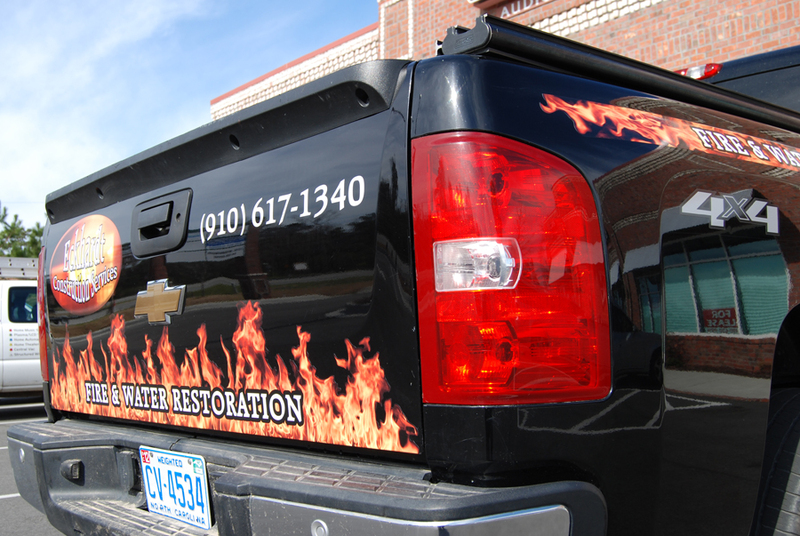 He wanted to showcase their fire & water damage services by utilizing some realistic flames to grab his potential customer’s attention. 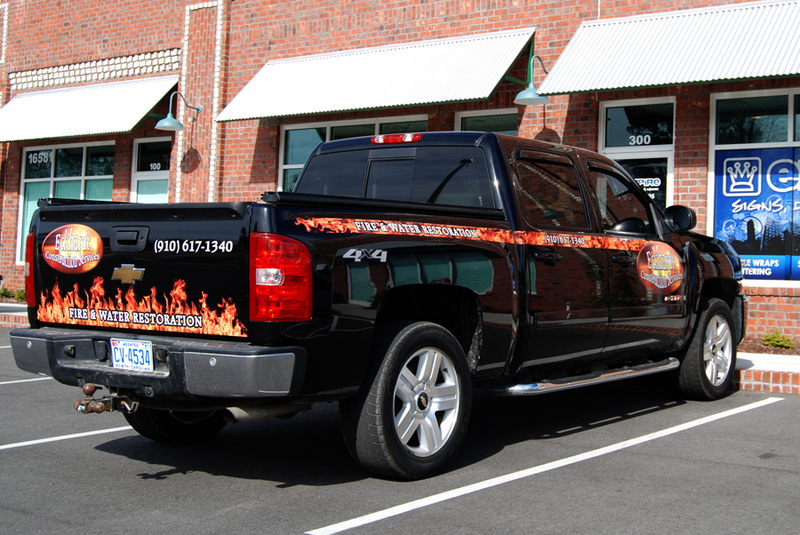 We came up with a simple and effective use of realistic flames along with his standard oval logo to integrate with the truck’s total graphics package. 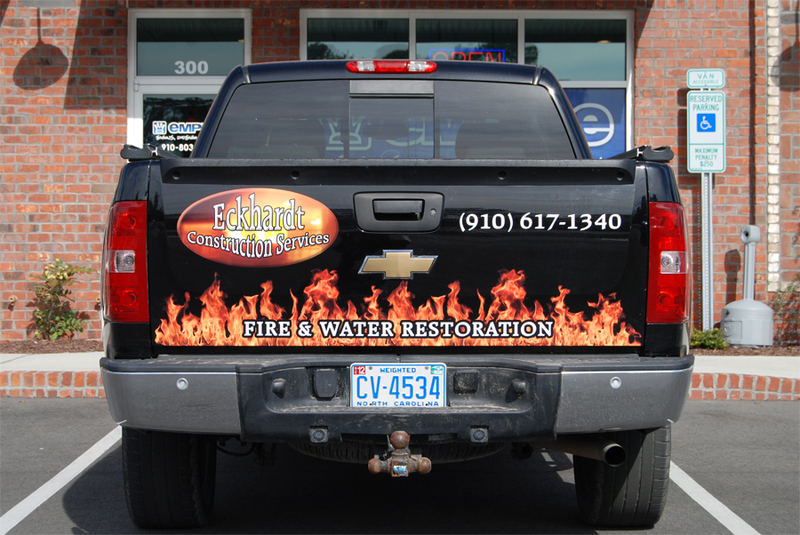 The final result is far more eye catching and visually appealing than the traditional silver lettering his truck had previously. 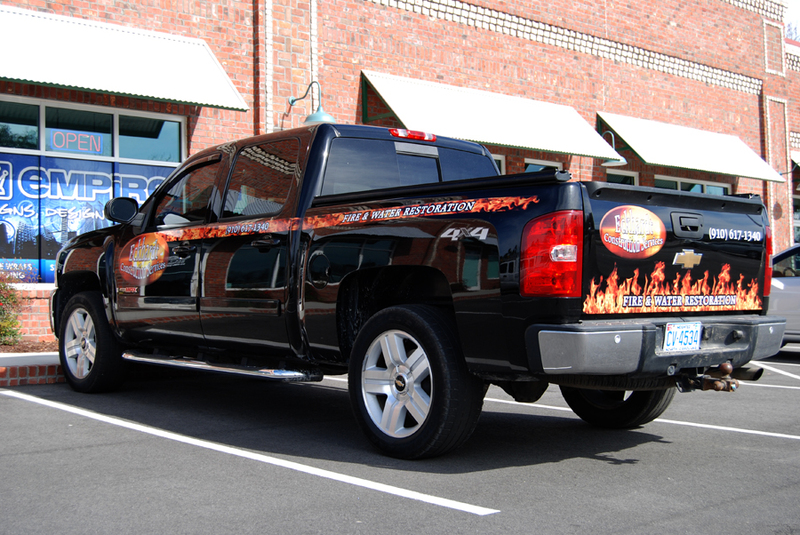 Check back often to see our next Project of the Week.. who knows, you could be our next featured customer!